Nothing like a beer, a bratwurst and streets full of people experiencing culture. Rio de Janeiro, Brazil, Trinidad & Tobago and Barbados are all known for having grand carnival experiences. Growing up in Haiti, I remember going to carnival a few times. Carnival always represented celebration and happiness while enjoying live music from various bands and being around friends and family enjoying each other’s company. Musicians would make songs specifically for that carnival season and do their best to have the top song of the year. The carnival costumes, which people spent a lot of time and money on, were always vibrant and full of life. 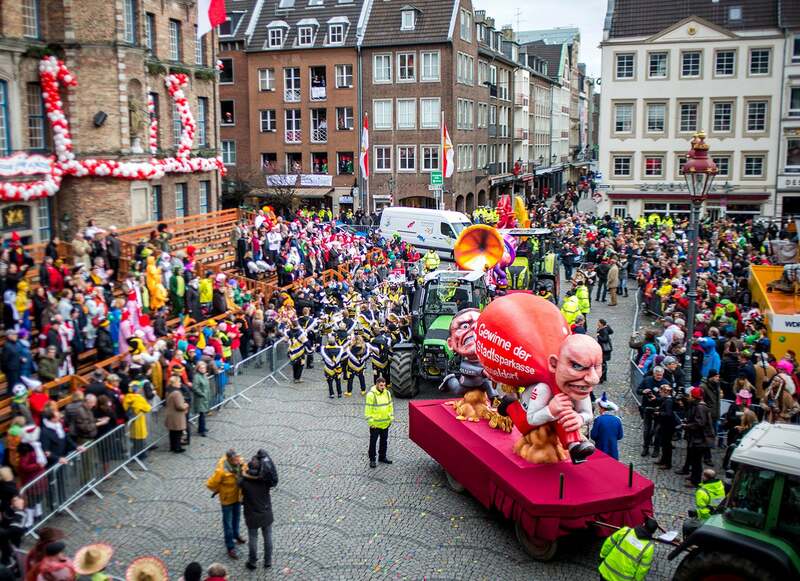 Recently, I had the opportunity to go to Düsseldorf, Germany to experience their carnival. Before this I had never heard of carnival happening in a European country. I knew it would be an eye opener and potential culture shock for me to see how carnival would be celebrated abroad. It was also a reminder that we are all connected and it doesn’t matter where you are from around the world, we will always gather to celebrate and put aside our differences and troubles. The people of Düsseldorf take carnival time very seriously. A few days leading up to carnival, we were warned that it might get canceled due to bad weather. Some businesses took precaution by boarding their doors and windows days before and everything storefront was closed the day of carnival. The locals had their costumes ready, which they were prepared to wear across several days. There is lots of commitment here. Eventually the carnival was cancelled because of the dangerous wind conditions, but that did not stop the people of Düsseldorf. They gathered on their own in the front of their City Hall to see the floats, each other’s costumes which ended up being an unofficial carnival. People were in full spirit playing music and dancing. One of the most notable elements to the Dussedolf carnival is the political statements made with costumes and floats. Although people are absolutely having fun, celebrating and enjoying a sense of community, there were definitely polarizing pieces around world’s political and economic problems. That’s what I love most about travel: understanding the perspective of people and interacting with them and learning from them even through language barriers. Redens Desrosiers is a contributor for Soul Society.